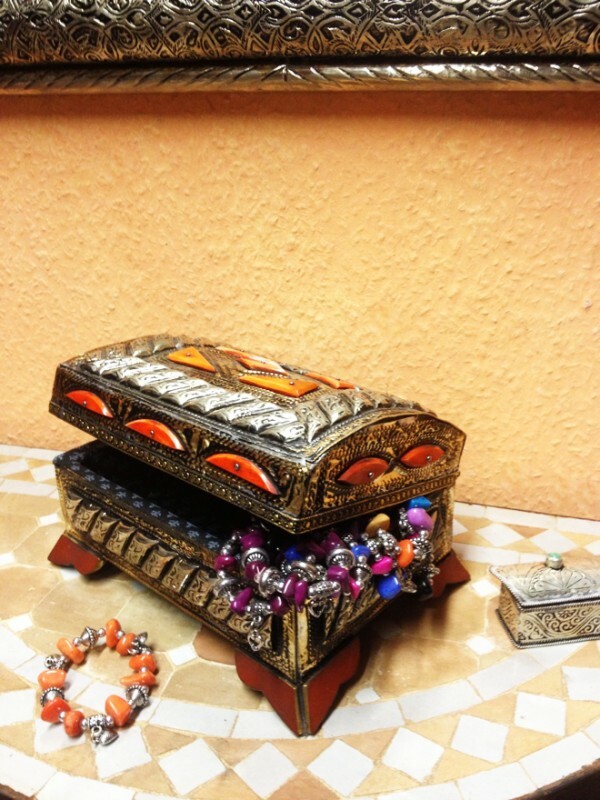 Oriental casket decorated with fine camel bones. 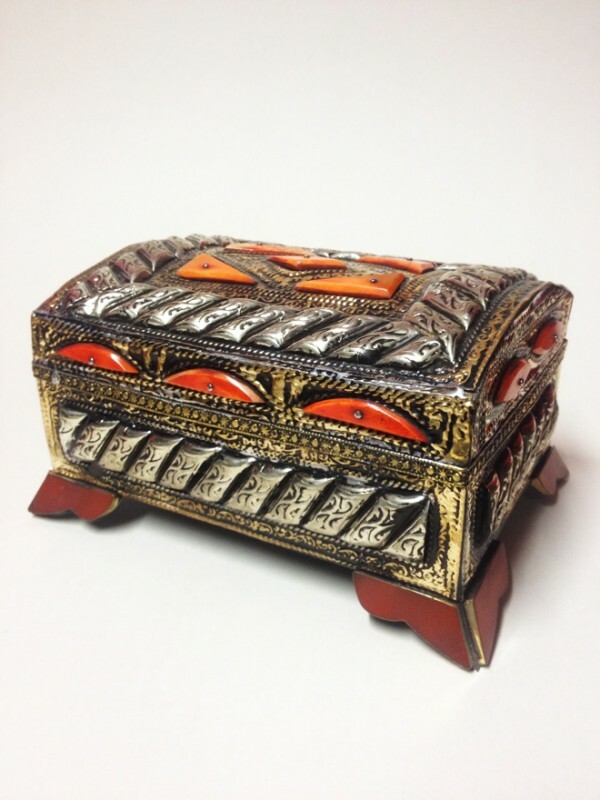 An Oriental box for your valuables. 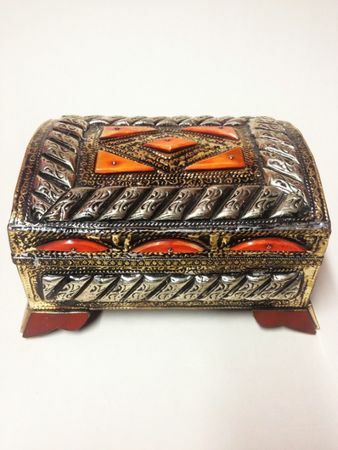 This unique Moroccan box is made of wood and it is covered with "alpaca", which is, in Morocco, called "Maaden". 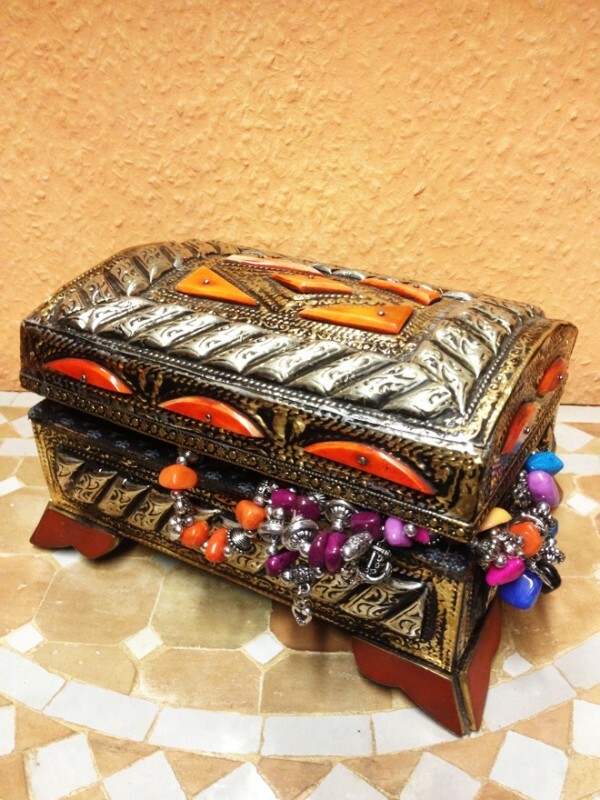 It is decorated with henna stained camel bone and resin pieces. Alpaca is an alloy and includes brass, zinc and aluminum. This alloy has good workability and weldability, excellent for the cold working. This box is decorated with a very elaborate beautiful pattern and a dark patina. The rear side is covered with a fabric. This technique takes a lot of time, patience and above all a lot of experience. 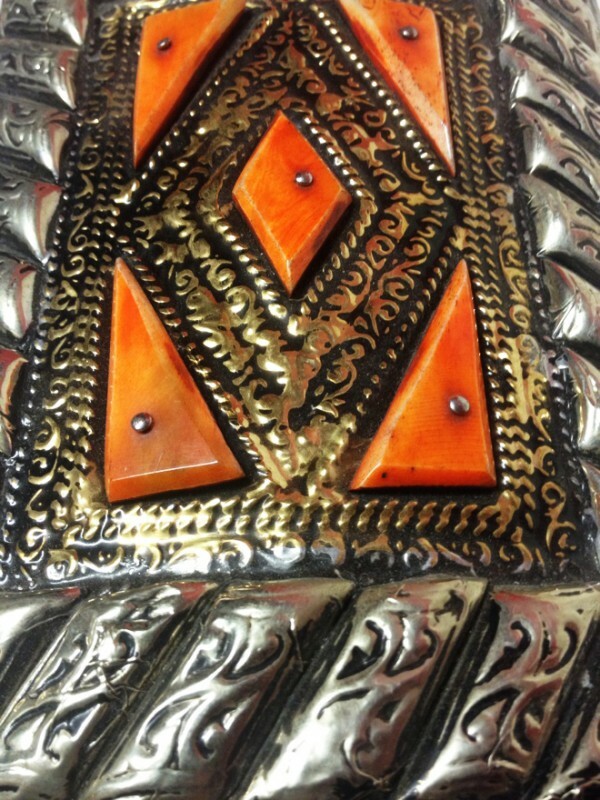 Pure handicraft, firmly processed in an oriental flair with great attention to details.